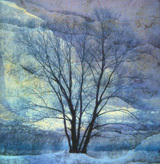 Mahler's great symphonies would be unthinkable without his songs for piano and orchestra. The folk dances and folk songs gave Mahler the inspiration, often as well the rhythm and melodies of his works. His music delivers drama, power, happiness, sadness, sometimes even fury and despair. — Organizational details will be announced. "The Munic Piano Trio plays the pieces with noble precision, stylistically following more the references than a conception of juvenile agitation." 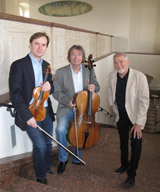 "This performance by the Münchner Klaviertrio ... serves more to bring out the accomplishments of the young composer. ... This is a highly rewarding release, which clearly shows the progression of Richard Strauss the composer and which any self-respecting Straussian will relish. 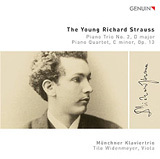 Strauss is clearly evident in patches of this music, especially in the piano writing of the Piano Quartet, and the Münchner Klaviertrio bring this out expertly. 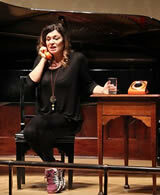 ... the recorded sound is also clear and detailed." 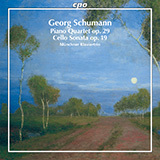 The late romantic Cello Sonata, Opus 19 and the Piano Quartet, Opus 29 of Georg Schumann, a contemporary of Richard Strauss, has appeared on the cpo label. These neglected masterpieces, which until now have not been recorded, are sure to raise high interest among critics, musicians and most important, listeners! 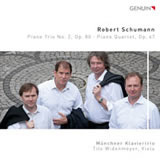 In 2016, the Munich Piano trio has marketed two master compositions by Robert Schumann: the Piano Trio Opus 80 and the Piano Quartet Opus 47 with Tilo Widenmeyer as violist. It is the eights GENUIN-CD of the ensemble. 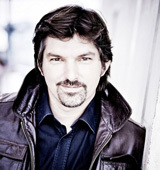 The CD was promoted on February 22, 2016 in the broadcasting Tonart-Klassik of Deutschlandradio-Kultur. 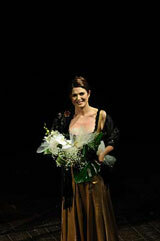 Live video recording of the inaugural concert of the Teatro Comunale in Savona — 2nd October 2010! Poulencs master composition from the opening recital of Radio 3's Lunchtime Season 2015 live for the BBC with Fiona Talkington and an enthusiastic public. Click on the left arrow in the player, to hear the music! You need a newer browser or Adobe Flash! 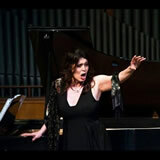 Acclaimed song recital in one of the world's most important recital venues: Lunchtime Concert live on BBC (Radio 3) with Sarah Walker and compositions of Fauré, Hahn, Bachelet, Respighi, Zandonai and Mascagni. Click on the left arrow in the player, to hear the music. 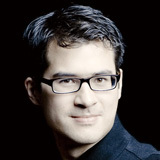 Camille Saint Saëns Le Cygne from The Carnival of the Animals in an exemplary Live Performance of the Kissinger Sommer on June 21, 2015 with Danjulo Ishizaka (violoncello). 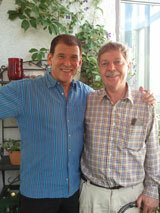 Dr. Hans-Jörg Rheinberger (photo on the left), a Scientific Member of the Max Planck Society and former Director at the Max Planck Institute for the History of Science in Berlin, invited Donald Sulzen to his Institute for a brief residency. 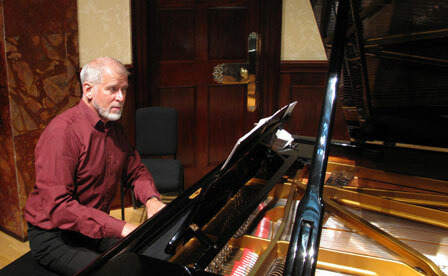 As part of his Artist in residence at the Max-Planck-Institute, Donald Sulzen gave three performances in the Institute's concert hall. 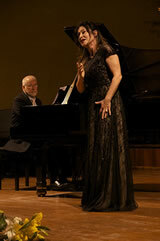 The third was a Schubert/Rorem recital with soprano Laura Aikin and clarinettist Nicola Jürgensen. 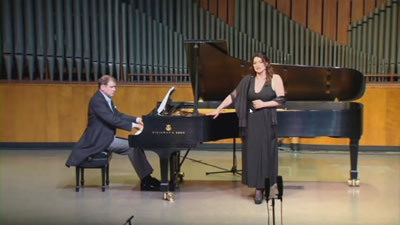 Here you can listen to their live performance of Franz Schubert's "The Shepherd on the Rock". Please click on the left arrow in the player!